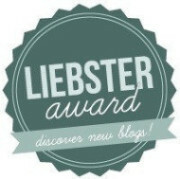 In July 2013, we were nominated for the LIEBSTER AWARD by McCrazy Daily Lessons! So, what is a Liebster? The meaning: Liebster is German and means sweetest, kindest, nicest, dearest, beloved, lovely, kind, pleasant, valued, cute, endearing, and welcome.